Mousse-like consistency allows for easy mixing, loading and seating. Zero solubility provides enhanced marginal integrity. High fracture toughness for durability. Hybrid glass ionomer offers sustained fluoride release. Virtually no post-operative sensitivity for better patient comfort. 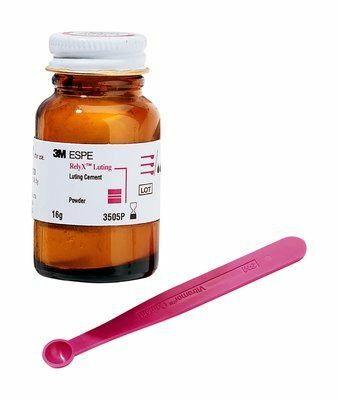 A hybrid glass ionomer permanent cement that is fast setting, strong and easy to use. Metal crowns, inlays and onlays (includes stainless steel crowns). All-zirconia or all-alumina strengthened core ceramic restorations (such as Lava™ or Procera®).